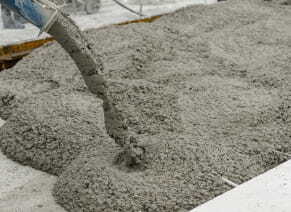 HIGH QUALITY CONCRETE WORK. FAIR PRICES. 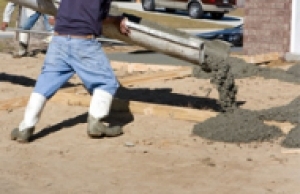 When you have true professionals pouring your home or business’s concrete, you can rest assured that the job will be completed correctly and in a timely manner. When it comes to your concrete installations and repairs, don’t worry about coordinating the schedules of numerous contractors! This not only wastes your time, it will end up costing you more. Save the time, money, and headaches by letting the concrete paving contractors of All Phases Asphalt Paving handle all phases of your concrete driveway installation or repair! You can rely on our more than 37 years of experience and our professionalism to do the job properly and in a timely manner. Aesthetics – Concrete is a lighter color option than asphalt. Depending on the colors of your home, concrete may be a better complement. Longevity – While an asphalt driveway can last for over 20 years, a concrete one can last upwards of 40 years! It’s a bit more of an initial investment, but it truly is worth it over time. Maintenance – While asphalt needs to be seal coated every few years, concrete doesn’t need to be. You’re saving money on multiple seal coating treatments by selecting concrete! At All Phases Asphalt Paving, our experienced concrete crew paves smooth, beautiful driveways for residents across Southeast Michigan. 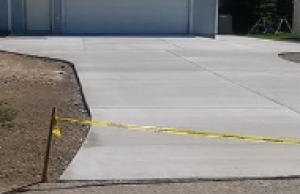 We start each of our projects with a complimentary estimate so you truly know what you’ll be paying and how long it will take to install or repair your concrete driveway. In addition to our new construction projects, we also provide our customers with concrete patching, repairs, and restorations in order to prolong the lifespans of their concrete. We want to be our clients’ one-stop concrete paving company for all things concrete, and we’re committed to their satisfaction. We stand by our work and will always do what’s right for our clients. 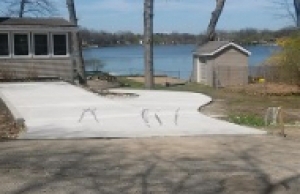 When you have true professionals pouring your concrete, you know the job will be done right the first time. Rely on the pros that your neighbors trust. 80% of our work is from referrals because we treat our customers right!